Decorate your gameroom with brilliant color, high-quality stained glass hanging lamps showcasing the Duke University team logo. These collegiate Tiffany Style Stained Glass lamps, manufactured by All American Lamps, are created with the school’s logos screen printed onto the glass. These products use the same opalescent art glass that was used by Tiffany years ago. Each piece of glass is individually cut, leaded, and soldered together by hand with the same care and traditional workmanship found in those early works of art. 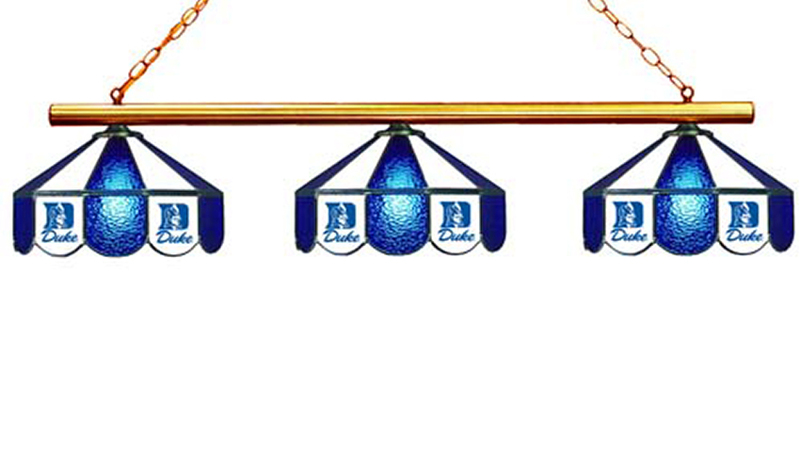 Decorate your game room with brilliant color, high-quality stained glass lamps showcasing the Duke University team logo. 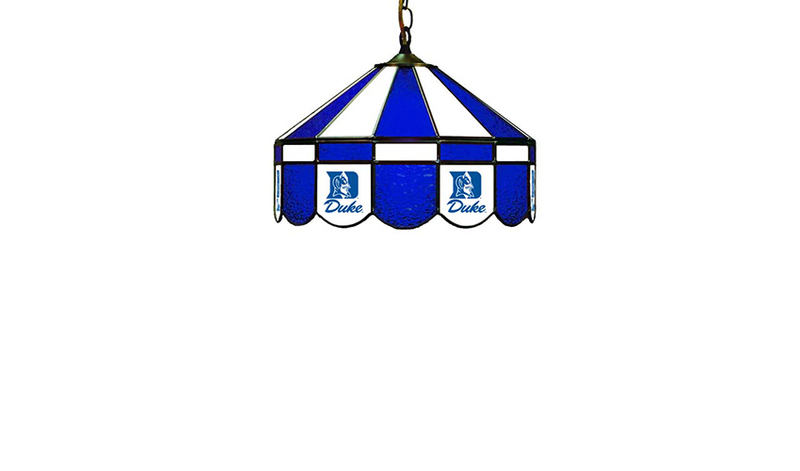 These Duke University Tiffany Style Stained Glass lamps, manufactured by All American Lamps, are created with the school’s logos screen printed onto the glass. These products use the same opalescent art glass that was used by Tiffany years ago. Each piece of glass is individually cut, leaded, and soldered together by hand with the same care and traditional workmanship found in those early works of art. We offer a large selection of different styles from small pool table lamps to full sized billiard lights as well as hanging lamps and table lamps big and small. We have several different logos to choose from. Something for everyone’s taste. The finished product is a beautiful, high-quality lamp sure to delight any college fan. Our featured lamps are illustrated and priced. In total, we have 15 different styles to accommodate any decor or budget. Ask about additional styles. Not all styles are available at all schools.